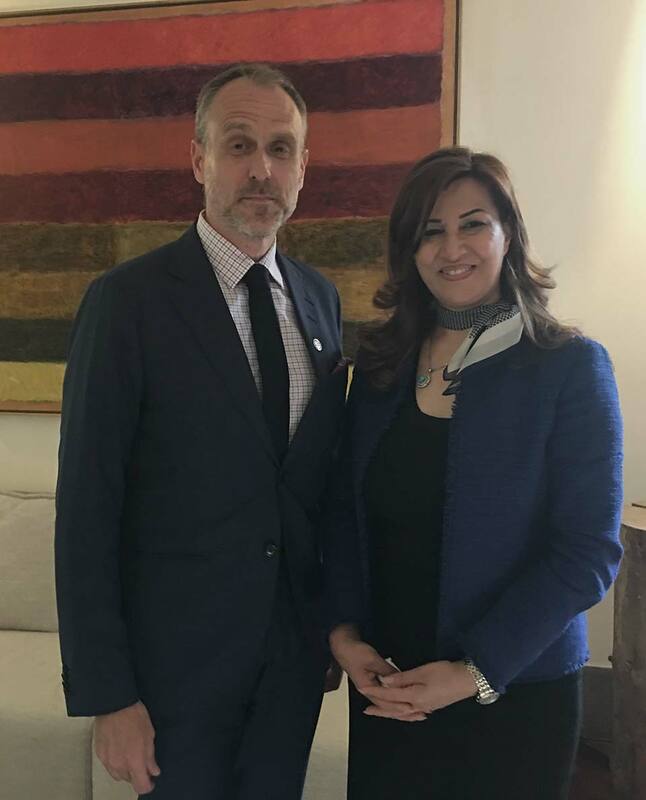 Today, Mrs. Kader has been received by the Ambassador of Finland to Italy Janne Taalas at His residence , the parties discussed on bilateral relations between the Kurdistan region and Finland, the presence of a large Kurdish community on Finnish territory and the profitable military cooperation in the fight against Daesh. Mrs. Kader updated the Ambassador of the current situation in the region, the ongoing operations for the liberation of Mosul, the difficulties with the Baghdad government, the problem of refugees and displaced persons in the region that continues to aggravate the Ongoing humanitarian emergency, relations with neighboring countries, the need to change the mentality in order to think about reconstructing the country and to ensure peaceful coexistence between the various ethnic and religious components and the issue of the upcoming independence referendum. Ambassador Taalas praised the KRG and Peshmerga forces of hard sacrifices in the fight against Daesh terrorists, reiterating to Mrs. Kader that the Finnish Government will continue to make its contribution within the international coalition.